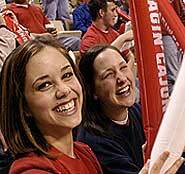 The University of Louisiana at Lafayette will host Parent’s Night on Nov. 11 from 6 to 7 p.m. in the Student Union on McKinley Street. Parent’s Night is designed to give parents of high school students an opportunity to accompany their student as they meet with approximately 15 representatives from colleges and universities across Louisiana. The program is formatted as an informal browse to allow greater flexibility. In addition, a session about financial aid, TOPS and scholarships will be held from 6:50 to 7:30 p.m. Attending this program will help both parents and students learn more about the college selection and admission process. For more information about this program, call the Office of Enrollment Services at (337) 482-6553.